Finding a nice house to be your next home is exciting, and moving to that house should be a fun process. Although sometimes it can be a bit overwhelming. Do not worry though, we are here for you. We are here to tell you that the panic and the chaos are completely unnecessary because moving can be a breeze if you are well prepared with these moving tips. And here are the best 10 moving tips for an easy move. The best thing is hiring a professional moving company, thus, you give the heavy lifting to practiced hands. Hiring an expert is the best way to minimize effort and maximize efficiency. Professional moving companies know how to properly wrap furniture, how to maneuver it through tight stairwells and door frames. And most importantly, how to properly pack a truck to save the most space and keep the furniture safe during transportation. You should contact the moving company and have that arranged at least one month before the move. Before you start packing conduct a thorough room by room survey to determine what you plan to keep, sell, and donate. You must be firm in this stage, go through every room with two big bags; one for charity and one for junk. Anything that has not been used in more than a year has to go, either to the donation bag or to the waste bag. Or if some items are too valuable to through away try selling them. A lighter load means not only an easier move, but less to unpack. You need to do that at least two weeks before the move so that you have enough time to drop the charity bags. Use big boxes for lighter stuff like clothes, pillows and beddings, use smaller boxes for heavier things and use rolling luggage for the heaviest items like books. 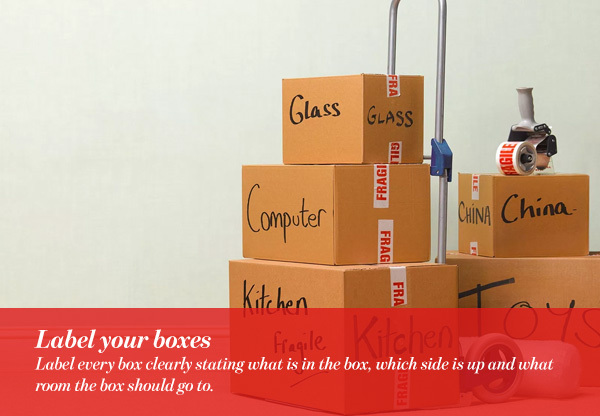 Also try not to over pack your boxes as this makes them difficult to maneuver. If there are any breakables that you are worried about during the move, wrap them in bubble wrap or a towel, then double box them for maximum protection. Start the packing stage as soon as you finish the organizing stage. 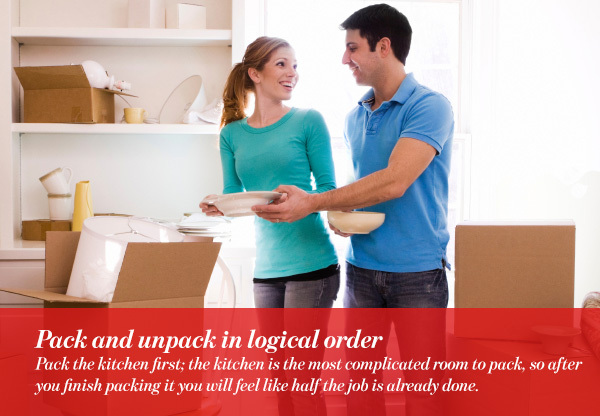 Pack the kitchen first; the kitchen is the most complicated room to pack, so after you finish packing it you will feel like half the job is already done. Unpack the kids’ room first; get them settled into the house before you tackle the other rooms. That way they can play or study while you unpack. This is essential, it will save you a lot of time and effort. Label every box clearly stating what is in the box, which side is up and what room the box should go to. Also, remember to label the side of the box not the top, this way you can see the label even when the boxes are stacked. 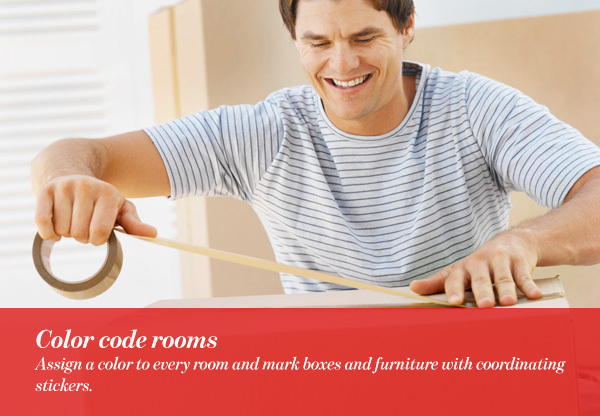 Assign a color to every room and mark boxes and furniture with coordinating stickers. That way movers will know at a glance where everything goes. 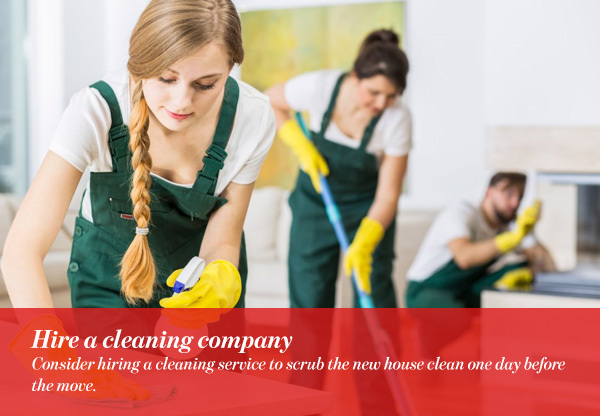 Consider hiring a cleaning service to scrub the new house clean one day before the move. That way you can start unpacking as soon as you finish unloading the boxes, and you can use the kitchen and the bathrooms immediately as well. 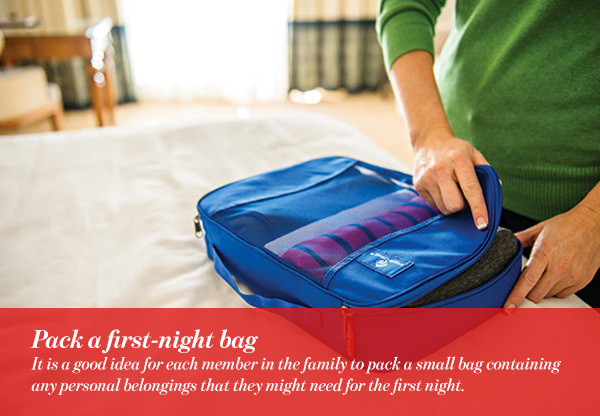 It is a good idea for each member in the family to pack a small bag containing any personal belongings that they might need for the first night. You might also want to pack a first night box that contains anything the whole family will need, like coffee, snacks for the kids and a first aid kit. There is a big chance that you will not be able to unpack everything and organize your new home on the first day, so by doing this you give yourself a chance to rest and sleep better the first night. Try to limit your grocery shopping two weeks before the move, that way you can use as much as you can of the food you already have in the kitchen. 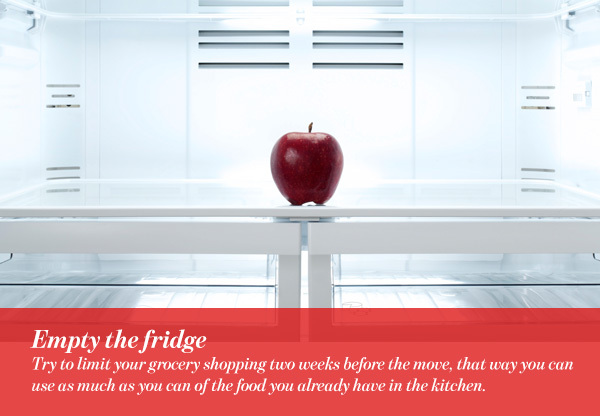 And remember to defrost your refrigerator at least 24 hours before the move, and wipe any liquid. 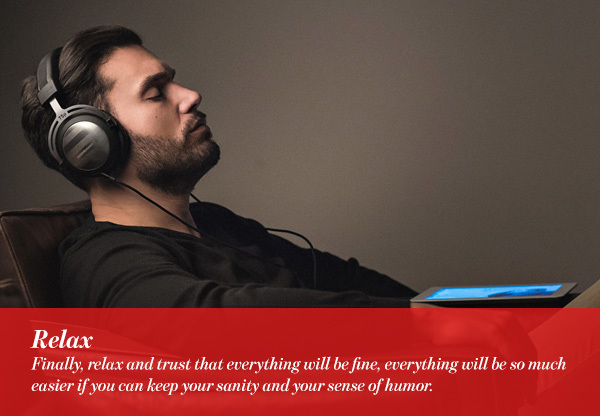 Finally, relax and trust that everything will be fine, everything will be so much easier if you can keep your sanity and your sense of humor. Moving To A New Place? Take This And Do Not Take That!